Is it right for Christians to protest at abortion clinics? Are there biblical principles that tell us that we should defend the defenseless? Are believers being disobedient to civil authorities if they do protest? The Bible is clear from Romans 13 that Christians are to be model citizens. They are to obey the authorities since by God’s sovereignty they are placed in authority over us. Paul makes it very clear: “Let everyone be subject to the governing authorities, for there is no authority except that which God has established. The authorities that exist have been established by God. Consequently, whoever rebels against the authority is rebelling against what God has instituted, and those who do so will bring judgment on themselves. For rulers hold no terror for those who do right, but for those who do wrong. Do you want to be free from fear of the one in authority? Then do what is right and you will be commended. For the one in authority is God’s servant for your good. But if you do wrong, be afraid, for rulers do not bear the sword for no reason. They are God’s servants, agents of wrath to bring punishment on the wrongdoer. Therefore, it is necessary to submit to the authorities, not only because of possible punishment but also as a matter of conscience” (Rom 13:1-5). So clearly, if a Christian protests at an abortion clinic, they should follow the local laws governing such protests. In these Scriptures we see that the governing authorities are actually God’s authorities and they are due every bit of respect given to them because of Who placed them in such a position. They have been instituted by God to be in authority over us. Whoever rebels against the legal authorities are actually rebelling against God Himself. So clearly, if a Christian protests at an abortion clinic, they should follow the local laws governing such protests. They should respect the clinic’s private property. They should not be shouting or screaming at women or clinic workers who are entering or leaving the clinic. This is clearly not how a Christian shows the love of Christ. We are not to condemn other’s actions loudly and vehemently but to show respect to all men and women (Rom 12:9-10). The first question about whether a Christian should protest abortion clinics is if they are within their legal right to protest at such a place. The city or county may require a permit to stage a protest. They might require a permit for it to be a legal gathering within the confines of the local, governing authorities. No one, Christian or not, should break the law to protest something that they feel is wrong, for example, abortion. We can not break laws unless the laws conflict with God’s laws. As has been said before, two wrongs do not make a right. Just because something is morally wrong, it still may be legally right. To break a law to protest something that isn’t against the law is wrong in itself. Only when human laws force us to break the laws of God are we allowed to break such a law because God’s laws are the higher, moral principle. This is because God is the Ultimate and Supreme Lawgiver and His laws supersede human laws. Once a Christian or Christians have acquired a legal right to protest or have the understanding that their protesting would not break a local law, then they have ever right to protest something that they deem is wrong. To protest abortion clinics in not wrong in itself. For example, the fetus has no way of defending itself and so the fetus is utterly helpless and defenseless. What is normally the safest place on earth – a mother’s uterus – has now become one of the most dangerous in many cases. Since God is the author of life and only He has the right to take a life, humans have no right to abort an unborn child (save for the mother’s life being endangered). God created male and female in His own image (Gen 1:27). God does not want to have those whom He created in His own image to be killed, even the unborn. Those who are pro-choice or pro-abortion should thank their mothers that they were not, otherwise they would have no voice with which to protest in the first place. I believe there is nothing wrong with protesting abortion clinics, but those who cross over the line have no such right and do not have God’s blessing. Those who go onto private property like the abortion clinic, who have no legal right to assembly, or who fail to get a permit to protest (if one is needed), are in direct conflict with those who have the governing rule and that is sin (Rom 13:1-5). They become lawbreakers. Even worse are those who slash the tires of abortion clinic workers, destroy the clinic’s property, and resort to felonious behavior like bombing a clinic. There is no excuse for such behavior and no one who claims to be a Christian does such things (1 John 3:15, 1 John 4:20, 1 John 2:11). God created us in His own image. Those who God has created only God has the right to terminate. God is the giver of life and only God can take life. Fetus’s can not defend themselves. 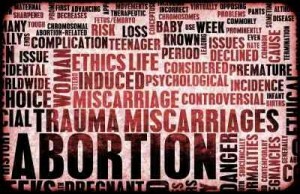 Abortion is the taking an innocent life, therefore, protesting abortion clinics – in full compliance within the limits of the laws – is not only permissible but it is the right. God defends the defenseless – He defends the widows and the orphans – He is the defender of the poor – thus we should be able to defend the unborn. The unborn are the most defenseless, helpless, and vulnerable of all human beings. Life starts at conception and God is the Creator of life. I believe Jesus’ saying is applicable here: “Truly I tell you, whatever you did for one of the least of these brothers and sisters of mine, you did for me” (Matt 25:40). Another excellent article Jack! Well written, and with the perfect perspective – His! Thank you so much sir. We both know where all the credit goes to. Without the Holy Spirit, this issue would not be important to me but for the free gift of grace given to me, I want the things that break the heart of God to break my heart as well and this topic truly breaks my heart. Thank you Jeff. I have so enjoyed following your posts. It is clear you have oppened your heart for God to work through you. I stumbled upon one of your posts about what Christians believe about dinosaurs….you were attacked for some of your beliefs but replied with comments filled with patience, love and kindness. You are truly an example for how to show Christ’s love! Love never fails does it? I now follow the blog because of that post and look forward to your future writings. Thanks for being an example for us all! Katy, your gracious comment are salve to my spirit. Thank you so much. Truly your words reflect Christ and Him living in you. Oh, that we had such godly women of faith with edifying and encouraging words like yours in the church that I am under-shepherd of to the Great Shepherd. God bless and please do come back. We need more Roman 12 and I Cor 13 believers like you in this world. Jack, this is a really good article on a subject that, again, can be one argued within Christian circles. Thank you for standing on the Word and thoughtfully presenting the case for what God would have us to do. God gets the glory again friend! Thank you my friend. Amen to God getting the glory for I would probably be writing about my Kansas Jawhawks or something like that if God did not send me the Holy Spirit for truly, I am nothing without Him and if I am anythings, it again is all because of Him! Just letting you know, you took Romans 12:9-10 out of context. It’s referring to the brethren. Not everyone is a Brother or Sister of mine. We are to expose sin and raise our voice on the housetops. Being “soft” is a tradition of Christendom that was inherited for hundreds of years. I appreciate your article but am troubled by what seems a random switching between the term fetus and unborn or unborn child. God’s word speaks to us of the babe in the womb, the child in the womb, twins, people, fruit, sons, and blessings of the womb. The world uses the term fetus, defined as a vertebrate mammal or human that has at least 8 weeks gestation, to attempt to dehumanize the child. May we all raise in our hearts and words the image of the babe in the womb as these babies are all created in the image of God and you stated in your article. Thank you. Hello Julie. Thank you for your comment. 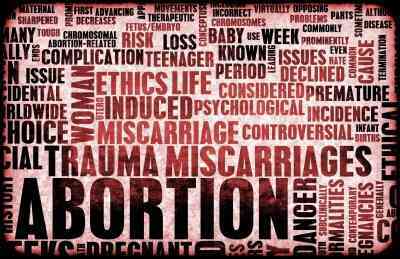 The language of speaking of the fetus and unborn child is terminology doctors will sometimes call a living child, so I wanted to speak in language that a woman considering an abortion would have heard of from the doctor. Yes, I agree that the words describing children, unborn particularly, is appropriate so you do make a good point. Thank you. Amen as being created in the image of God. Thank you. Next post: Are There Prophecies of America in the Bible?